TODAY Home rounded up the best portable and handheld clothes steamers to buy now. Long gone are the days of our grandmother's ironing items like pillowcases and even underwear. Nowadays, the thought of even ironing shirts can make anyone cringe. That's where a handheld steamer comes in handy (pun intended) as a quick solution to getting clothes as smooth as possible without the stress. 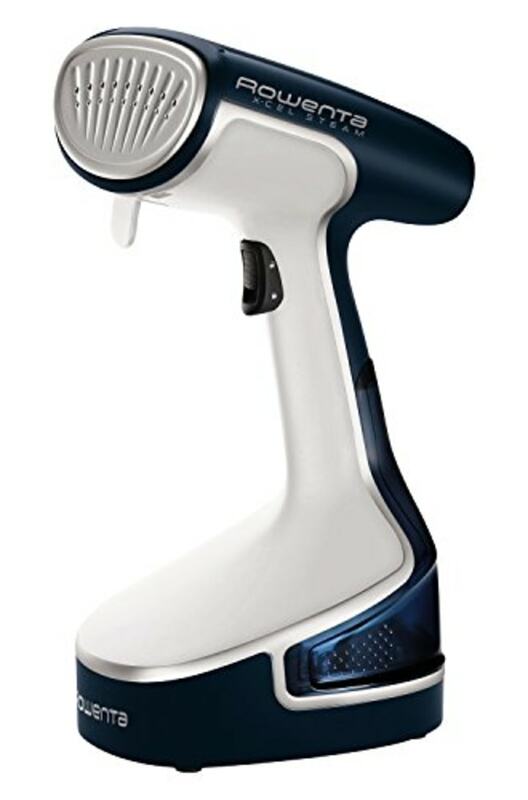 There are a lot of handheld steamers on the market so TODAY Home sought help from specialists to take out some of the guesswork while shopping. Professional dry cleaner John Mahdessian, president of Madame Paulette Organization, has cleaned clothes for some of the most high-profile clients, including Princess Diana and Vogue's Anna Wintour. He says most steamers sold in stores are decent, but there is one aspect that matters most when shopping. "You want to be sure the steamer you choose has a very high heat setting to avoid any drips of water on your clothing," Mahdessian said. He also shared a few tips for best practices. "When steaming, always remember to hold the clothing taught (in) the way in which you want it to dry, then keep holding it until it dries for about another 30 seconds or so. Also, be sure to use distilled water in the steamer as you always want the cleanest quality product," he said. To help you find the best handheld steamers for keeping everything wrinkle-free, here are some recommendations from the professionals. Also available for $70 at Bed Bath & Beyond. “I love this steamer for refreshing my pillows and holiday decor when I pull it out of storage. I usually get at least 10 minutes of continuous steam from this model. It's perfect for knocking out the wrinkles when I'm making a client's bed or straightening my hanging drapes after installing them. I use this to pretty much steam any kind of fabric I get out of the package. I even use this steamer on my sofas to freshen them up," said Lauren Makk, TV host and home expert from Yelp.com. "As a TV Host for Travel Channel and an adventurer, I wear a lot of button-up shirts that get absolutely wrinkled in my luggage by the time I reach these remote destinations. My PureSteam portable garment steamer is great to travel with. 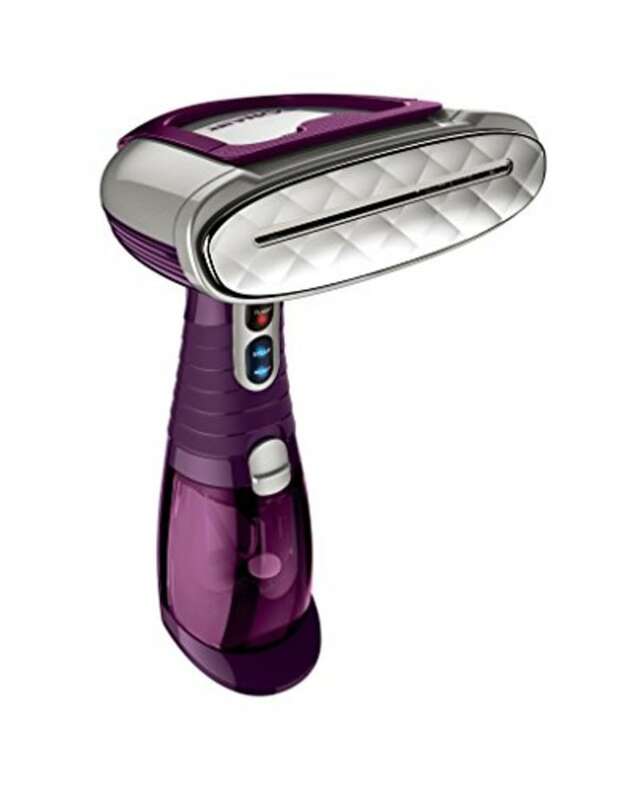 I like its small size and that it removes wrinkles efficiently in under two minutes helping me (or at least my clothes) look great on camera," said Kellee Edwards, a TV host for the Travel Channel. Also available for $50 at Bed Bath & Beyond. 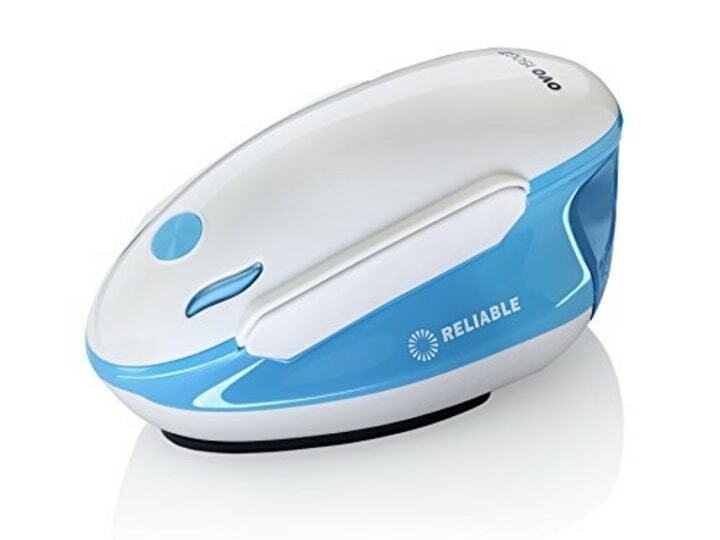 "I take this steamer/iron with me whenever I travel for work. It doesn't take up much space in my suitcase and eliminates the need to call housekeeping if there's not an iron in my hotel room. Deceivingly powerful for its tiny size, it always gets the job done and packs into its own heat-resistant pouch when I'm ready to go," saidTrae Bodge, shopping expert for TrueTrae. "Having a steamer is ideal to be ready in pinch for a meeting or going on the air, especially with kids running around. This steamer smooths the fabric quickly and shuts off automatically if the water temperature gets too high or the water level too low," said Emily Blumenthal, designer and founder of the Independent Handbag Designer Awards. Also available for $60 at Bed Bath & Beyond. 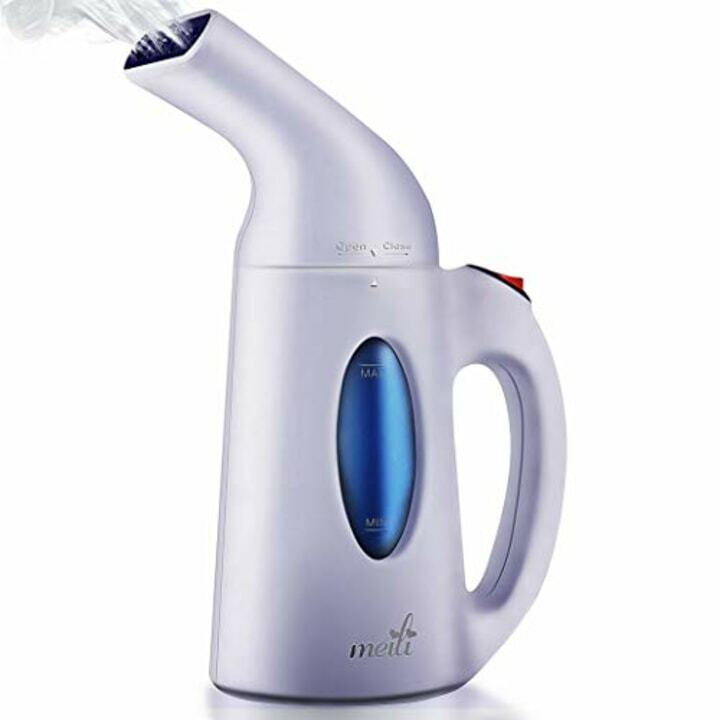 “When I found this steamer, I was so happy it actually got the wrinkles out much better and faster than ironing. When I'm on set prepping for a segment to go live, there isn't much time and the models' clothes need to look crisp. This steamer is easy to pack up and take anywhere. I’ve tried a few but this is the one that gets the job done (to make clothes look) as good as a getting a crisp shirt from the dry cleaners. 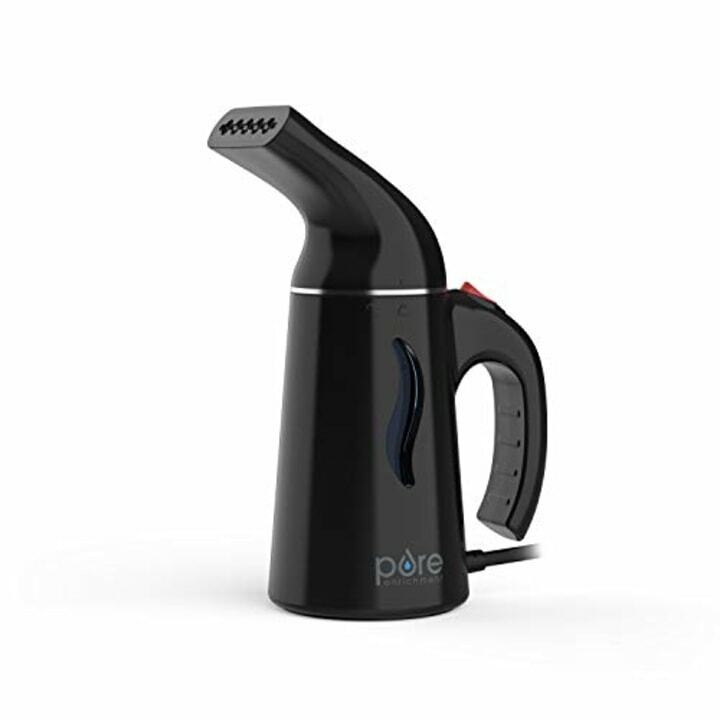 I love this steamer so much that I actually bought two: one for home and one for work!” said Dawn Del Russo, a TV lifestyle expert who often appears on shows like "Access Hollywood."